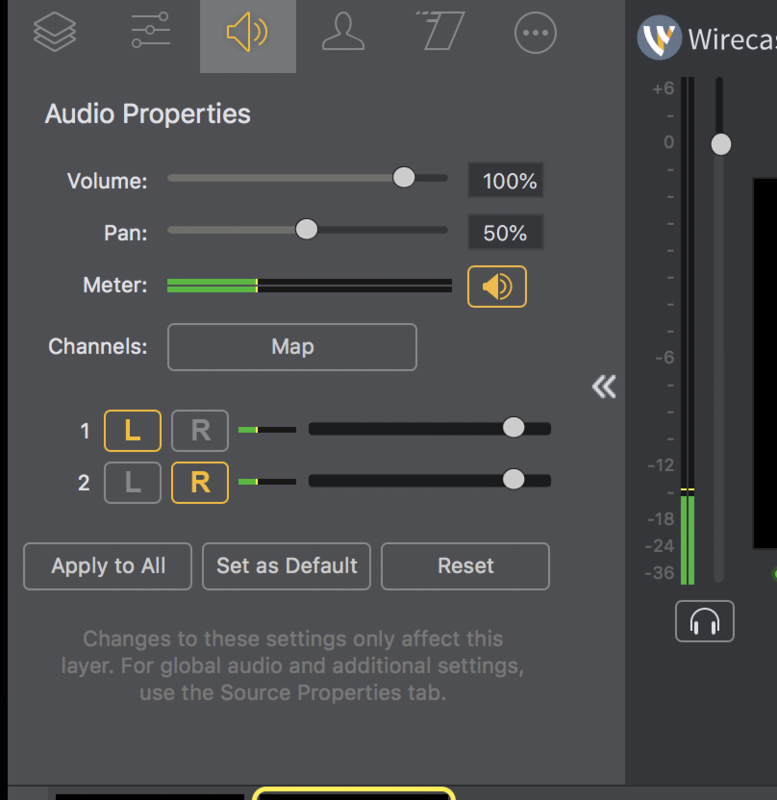 Since I Update to Wirecast 11, I can't duplicate audio channels. I would need to have L signal from an audio source duplicate at audio output but I can't manage that. Is there any problem? 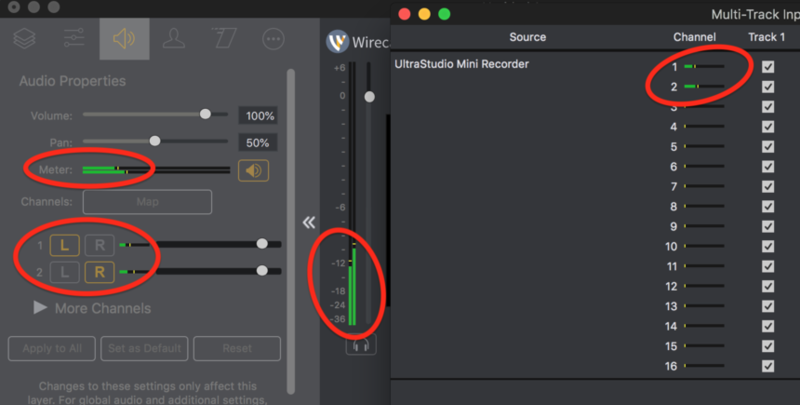 Wirecast 11 (now at 11.1.1) requires High Sierra or Mojave. Thanks but that's not what i want to do. 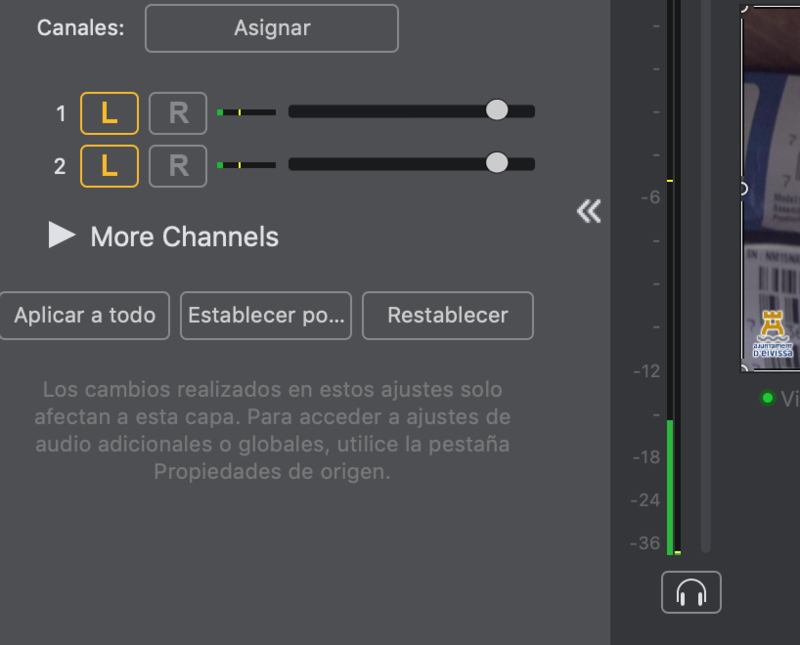 I would like to have both output channels with L channel from source. You can see it in my picture. Maria Palotes You can do that but you must upgrade to High Sierra or Mojave. 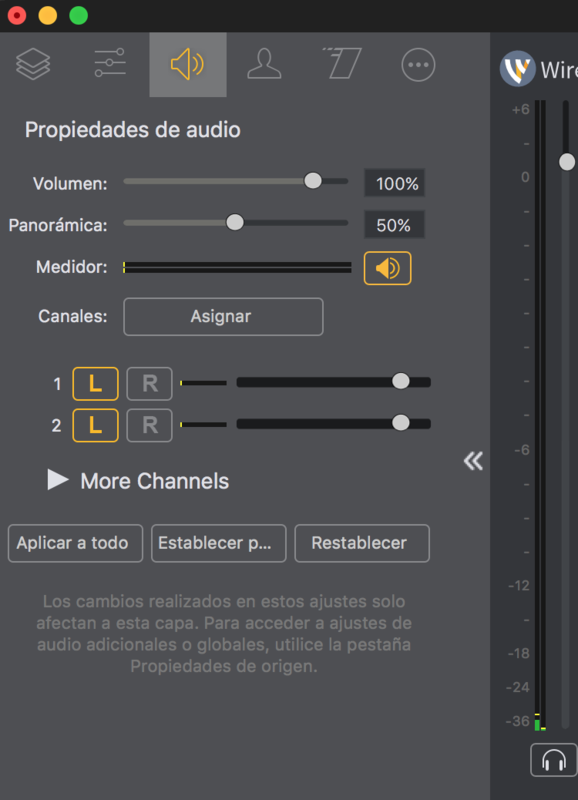 We update to Mojave (10.14.3) and is the same.. You can see that when we have LR source's audio, is ok but when we try to have both channels with L source's channel, we lost one. We've tried to do the same in two different computers with same specifications. And doesn't work either. Maria Palotes You may need to use the Map (Asignar) function to make sure the audio is available. As it is you have nothing assigned to the right side as seen in your Preview meters. CraigS I'm sorry I Can't understand you now. I think Mapping is done, so is same audio channel I want to use in both LR, I have in L but no in R.
I'll try to explain you want we want. We have this source you see, which only have signal in L channel. So we want to duplicate that L chanell in R channel of our live stream. Maria Palotes Send channel 2 to the Right. I have UltraStudio Mini Recorder. You must send audio to Right. That's no what we want as our source doesn't have audio in channel 2. We want audio 1 on both channels RL. We weren't talking about the same thing, I think. We manage to undestand what was happening in Wirecast 11. So it's solve!!! thanks for your time! Maria Palotes The source I used is a single channel mono source which I used in Wirecast as dual mono. I wanted one channel to appear on both RL as well. How to do that though depends on the device. Good to hear you got it working.